Contoura LASIK is the NEXT GENERATION in LASIK and is now available at our new state-of-the-art laser center in Edinburg. Contoura Vision is the first major advancement in laser vision correction in more than a decade and takes the already proven results of conventional LASIK to the next level. 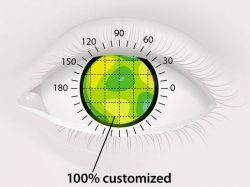 In fact, during the Contoura FDA clinical trial, nearly 1/3 of patients (30.9%) could see better after LASIK than they could see before with their best glasses prescription.1 It is the first laser vision correction procedure to receive FDA labeling that indicates the potential for Contoura patients to enjoy a higher quality of vision than is possible with either glasses or contacts. The leading eye surgeons of Thurmond Eye Associates are among the first practices in the Valley to offer patients the added benefit of the breakthrough Contoura LASIK procedure. 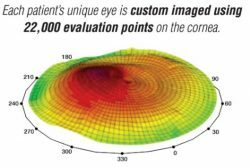 Contoura is a topography-guided method of LASIK that uses an advanced Topolyzer to map 22,000 unique topography points of the surface of your cornea. Contoura uses this information to direct our Ex 500 Wavelight Excimer laser to smooth any irregularities on the surface of your cornea. A comprehensive LASIK evaluation at Thurmond Eye Associates in our new Edinburg office can determine if Contoura can take your vision BEYOND glasses, BEYOND contacts and BEYOND 20/20. No other LASIK laser vision correction procedure in the Valley uses topography-guided technology to perform LASIK. It is important to understand that not all LASIK patients are ideal candidates for Contoura Vision LASIK. 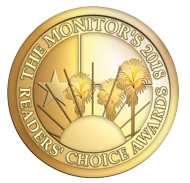 It is also important to understand that the results achieved during the FDA clinical trials may differ from results achieved with Contoura Vision in private practices. Only a thorough eye evaluation and comprehensive measurements can confirm your candidacy for Contoura Vision. In the FDA clinical trial, roughly 1/3 of patients (30.9%) could see better after LASIK than they could see before with their best glasses prescription. See why in the next section! Not all patients are ideal candidates for Contoura Vision LASIK. Please call our office today at 956-777-7200 or request an appointment online.